One of my favorite motivators at the gym is the Food Network Channel. Nothing gets me through a grueling hour on the treadmill like watching gourmet food come to fruition in an episode of Barefoot Contessa or Chopped. While I am a disaster in the kitchen, I have watched and sweated through enough cooking shows to know how important prep work is. You can’t just grill a steak. According to Ina Garten, you have to furiously mince shallots, sprinkle at least a dozen different spices onto the piece of meat, and then let it marinate for a solid hour before you can even consider turning on the grill. 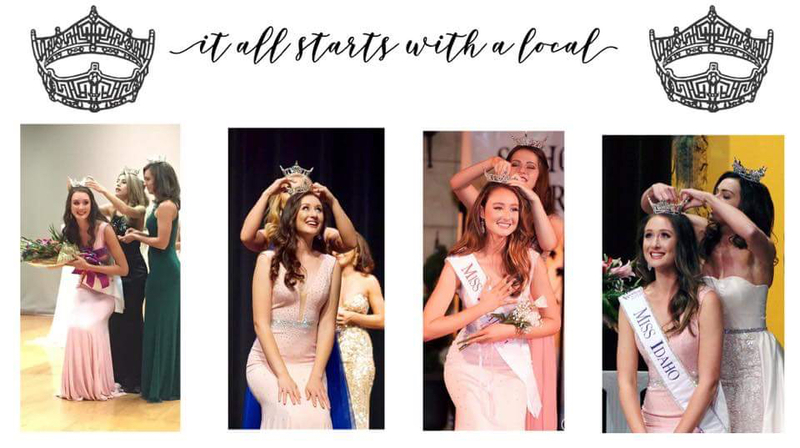 Pageant prep is surprisingly not that different, and your performance is directly correlated to the time invested in preparing for a competition. With orientation and state pageants on the horizon, I thought I would share the tried and true methods I used when preparing for Miss Idaho and Miss America. 1. Winners are made in the interview room. Interview is the category that is judged first for a reason. No matter how resplendent your wardrobe is or how many years you have spent perfecting your talent, interview is where judges find their winner and therefore is the category that usually requires the most focus. The judges want to know who you are, and a good rule I’ve always followed in interview is: If another person can have the same answer as you, it’s not a good answer. Dig deep, own your quirks, tell unique stories, highlight your passions. 2. Broaden your viewpoints. 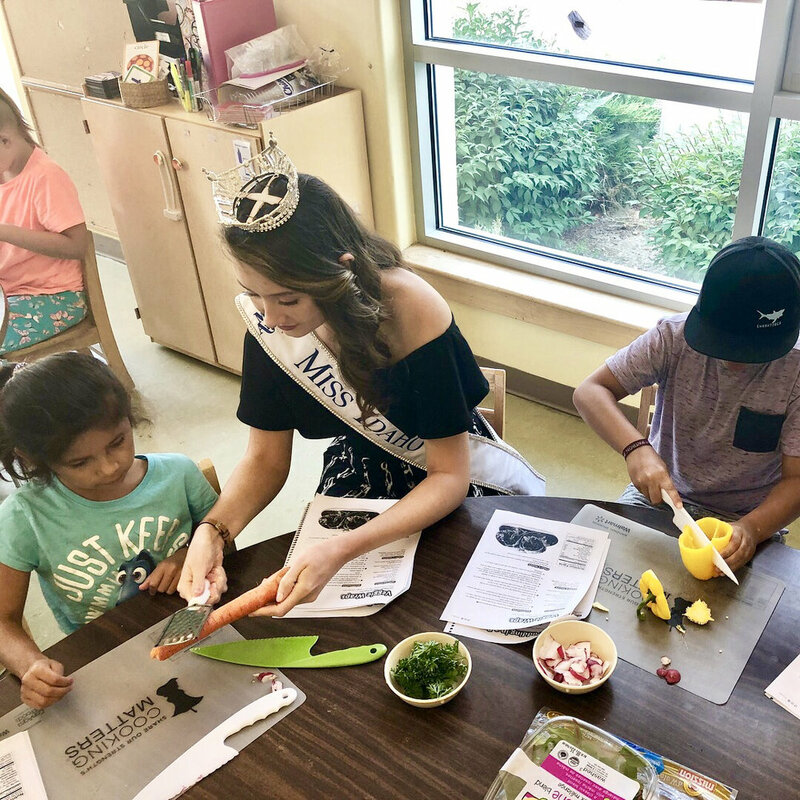 To help me prepare for Miss America, my Miss Idaho board arranged “Monday Mingles” where every Monday I would meet with a member of my community. I got to sit down and speak with a broad spectrum of people, from the Vice President of Zion’s Bank to an Idaho Supreme Court Justice. These meetings really allowed me to expand my thinking and learn more about the world around me. 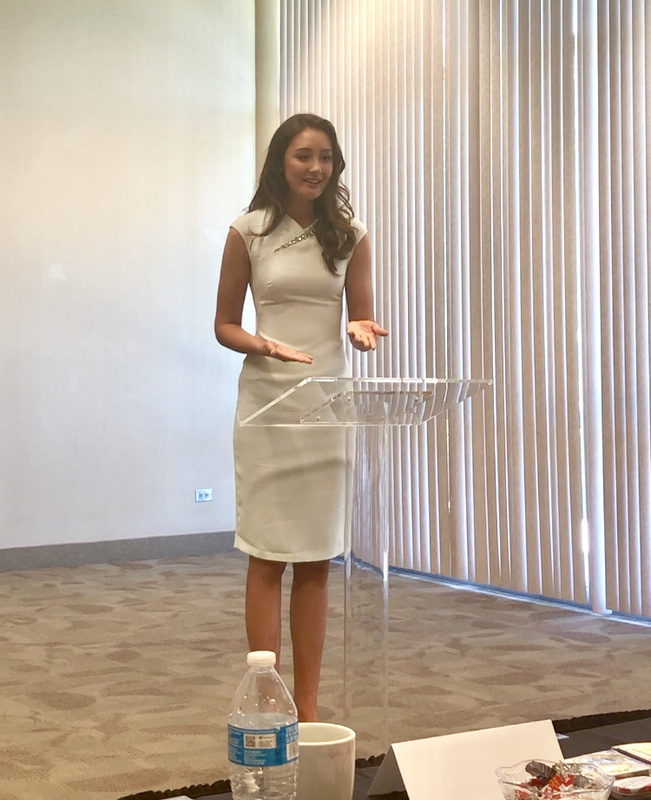 If you are a local titleholder, reaching out to people in your own community- professors, former bosses, family friends- is such a helpful and fun way to prepare for your interview. Another method to expand your ways of thinking is to read more. Between preparing for Miss Idaho and Miss America, I probably read around sixty books. Reading is a phenomenal way to engage your mind in different stories, words, and walks of life. I read everything from non-fiction to fantasy. The premise of the book does not matter so much as the product itself. At the end of the day, being a state titleholder boils down to representing and serving a group of people. I can’t think of a better resource to prepare for this job than books that capture the lives and ideas of those around us. 3. Serve to succeed. Even as a local titleholder, you really do prepare for the job of a Miss America. The more you involve yourself at events in your community or service opportunities in relation to your platform, the more you are preparing for the job of a state representative. My first few weeks as Miss Idaho were not nearly as chaotic as I expected, because I had already been an active titleholder in my community as Miss Pocatello. Before Miss America, I was booked for appearances about five or six days every week. It was stressful at times, but those events ultimately helped me enter my Miss America interview feeling fully prepared to be a Miss America. 4. Record yourself. This one seems like the simplest, but it can make the world of a difference. I highly recommend filming yourself practicing every phase of competition. We really are our worst critics. I was mortified to discover how fast I naturally talked in an interview, the awkward way I looked posing with two hands on my hips in evening gown, and the terrified expression in my eyes when I played a tricky measure on the piano. By recording yourself practicing, you can see what the judges see and fix the mistakes you otherwise would not have detected. So go out there, dissect your paperwork, garnish your interview skills, and knead your talent performance, because a great steak (and pageant queen) isn’t created in an instant. I almost did not want to write this blog post, because questions like “What can we do to encourage our youth to spend more time off social media?” or “Do you think social media is good or bad for society?” have become redundant catchphrases in the realm of pageant interviews and on-stage questions. By now, everyone has their own opinion on the matter, so why give you mine? I suppose because for most of my life, I never felt the need to be present on social media. One of my friends created my Instagram freshman year of college after she was shocked I had spent the majority of my teenage existence without posting awkward selfies and pixilated, overly filtered photos online for my followers to see. Clearly, I had deprived myself of the real high school experience. Even with Instagram and Facebook, I still never felt the urge to share or the interest to see what my friends around me were uploading. Then when I won Miss Idaho and started posting on Instagram religiously every few days, I became obsessed. Picture a lactose-intolerant person trying Ben and Jerry’s for the first time. It was addictive and explosive all at once. I went from spending practically no time online to antagonizing over captions and which picture, out of the sixty-three I took that day, looked the most eye-catching. One post probably took me thirty minutes to generate. It was not healthy and it took me longer than I would like to admit to realize that. The modern world is a paradox. Social media has made us the most connected humans in the history of existence, but somehow, we have never been more alone. The world is at our fingertips, yet we cannot seem to escape our artificially illuminated screens. Let me use my own life as an example. I am in charge of three Instagram accounts. I manage two Facebook pages, one Twitter account (I have never used the official Miss Idaho Twitter, but I still acknowledge its existence so it counts), and two Snapchats. Reading this, you might think my online footprint is a tad excessive. It probably is, but I am Miss Idaho. On June 9th 2018, I inherited a crown, sash, and the passwords to four new social media pages. One of my job requirements is to share my year on social media. For some reason, people want to know what shade of lipstick I’m wearing, see which city I’ve traveled to for the week, and watch me awkwardly film myself in my car to inform them what appearance I am about to walk into. I suppose I should be flattered that so many people deem my day-to-day life entertaining enough to make it a part of theirs. However, there is a part of me that is vacillated. Since when did living our own lives become synonymous with watching other people live theirs? I read somewhere, “When the phone was tied with a wire, humans were free.” When the cell phone first became commercialized in the mid 1980’s, it was hailed for its convenience. Streaming Netflix from our laptops or movies from our home T.V.’s quickly expelled the need to trek out to movie theaters, or even more archaic, the nearest Blockbuster. Netflix reported its 117.58 million subscribers watch 140 million hours of content per day. Most people spend four hours, a full quarter of their waking day, on their phone. Needless to say, the rise of technology, which was created to make life easier for us, has in turn made parts of it harder. Take gargoyles for instance. One hundred and two gargoyles affixed to Notre-Dame, one of Paris’ most famous landmarks, were designed to drain water away from the cathedral. In an elemental twist of irony, water happens to be the gargoyle’s biggest source of decay. Sometimes solutions to problems become part of the problem themselves. Our phones have become our modern day gargoyles. Technology has become ubiquitous with mankind, and the more stimulation we have, the easier it is to feel bored. Our devices can be so all-surrounding; it can feel like we are being suffocated by our screens. While easier in theory than in practice, the solution is simple: take away the problem. Some days, I converse more with people online than I do in person. When I find myself on hour three of watching “The Office”, I remind myself how much better I felt going for a run the other day or visiting the library with my friends. The placebo emotions we experience when seeing other people do things is no substitute for having adventures ourselves. Perhaps we must dutifully practice mindfulness and switch our screens off in order to switch ourselves back on. Disconnect in order to reconnect, as Matt Haig eloquently phrased it in his latest novel. After all, connecting with the world has nothing to do with WiFi. For a long time, I could not see myself winning Miss Idaho. I would view former state and national titleholders on social media effortlessly bounce around from classrooms to boardrooms to red carpets while painting the consistent aura of poise and confidence. At the time, these girls seemed, for lack of a better word, unreal. Although the crown is silver, social media makes it easy to equate being state titleholders to being the golden girls F. Scott Fitzgerald brought to life In his novels. However, my friends, that is a tale of two realities. If history is a myth shaped by the tongues of conquerors, then success in pageantry is a myth shaped by the Instagram posts of winners. After much self reflection and analyzation, I have chosen four pageant stereotypes to debunk, or as I call it: MythBusters, Miss America Edition. 1. To win, you must be an extrovert. This statement could not be any more fictitious, and yet, it is also one that is not brought up enough. 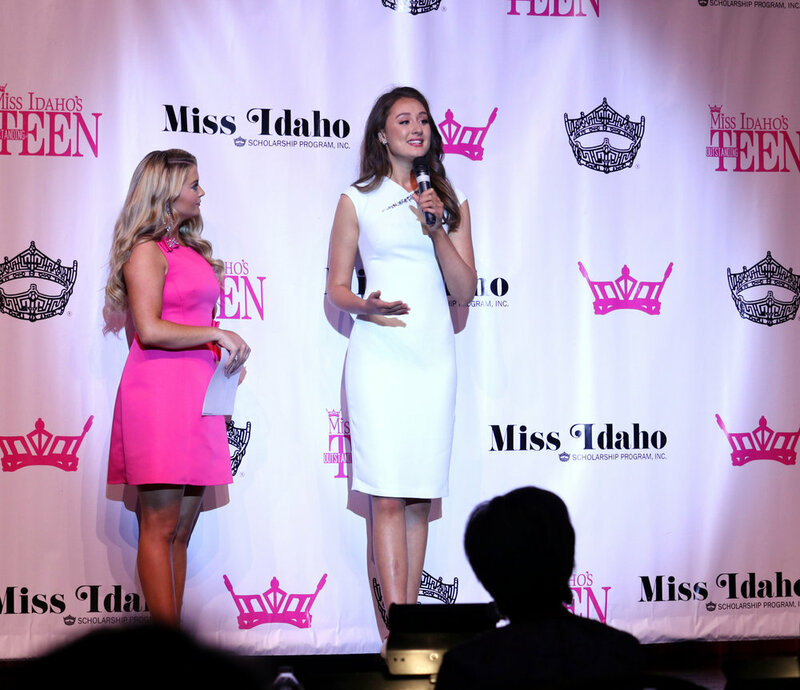 Yes, Miss Idaho does appear on the news, mingle with strangers at events, and speak to students at school assemblies. The job description itself implies the need for a gregarious nature. However, I am naturally not loquacious. Many of my Miss America sisters are also ambiverts or introverts. 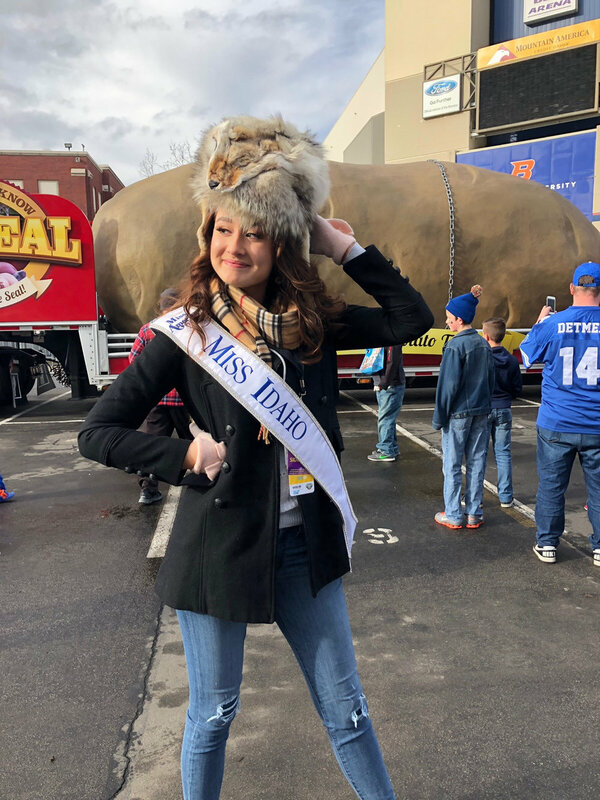 Fulfilling the duties of Miss Idaho pushes me out of my comfort zone, one of the many edifications I’ve procured from competing in the Miss America Organization. In the pageant world, it is easy to associate shyness with weakness and an outgoing disposition as superiority. However, I believe a true leader relies more on listening than speaking. You do not need to be the loudest or bubbliest person in a room to stand out, so why not be true to yourself, no matter where that lies on the Myers-Briggs scale. 2. Pageant girls love dressing up. When you see titleholders at events or appearances, our hair is perfectly coiffed, every fat roll is strategically tucked away into the embellished folds of an elaborate evening gown, and our crowns appear as accessories never meant to be removed. However despite illusions, pageant girls are neither paragons of perfection nor the apotheosis of femininity. In truth, I loathe caking my face in layers of foundation and fake eyelashes almost as much as I detest jamming my feet into a pair of high heels. My aversion to stilettos has nothing to do with me being tall. I have always regarded high heels as the only 17th century instrument of torture still permitted in the modern world, and after traipsing across the Miss America stage every night of competition in a pair of five-inch black heels, I stand by that statement. While Miss America started as a beauty pageant in 1921, contestants are no longer judged on their outward appearance. So, throw your stereotypes of beauty and pageantry out the window, because Miss America today is a woman with no set requirements on how a titleholder should look or dress. 3. Your views must align with public opinion. In a private interview with five judges, it is only human nature to forgo your unpopular opinion on some political, personal, or social matter in favor of a less contentious answer. After all, the judgments dictated by those five people are the only things separating you from winning. While as Miss Idaho, I try to refrain from making personal comments on controversial issues, in my own private competition interviews, I never shy away from expressing my true feeling about anything. Remember, people do not have to agree with you to respect you. In the Miss America Organization, your voice matters; never be afraid to use it. 4. Being a titleholder is easy. If you asked me what’s harder, a year in school at UC Davis or a year serving as Miss Idaho, without a second of hesitation, my answer would be being Miss Idaho. Being a college student is challenging to matters of the mind. Being Miss Idaho challenges everything. In school, your education comes first. As Miss Idaho, being Nina takes second priority. While I’m not studying in the library on a continuous, unforgiving loop, the mental and emotional demands from being a representative and servant to my community is no easy role. Is it worth it? One-hundred percent. Just know there is more to appearances than meets the crown. 2018 was a year filled with so many unforgettable moments. There is no way I could fit every special interaction, trip, or experience into one succinct write-up. In conjunction with 2018 coming to a close, here are eighteen of my favorite memories from this year in random order. 1. I won Miss Idaho on June 9th , and on June 12th , I flew back to UC Davis to take my finals. Something I will never forget is walking into my Chinese 06 final and having all my friends jumping up and down in congratulations. Instead of using the final moments before the test to study, my classmates went around trying on my crown and sash. Even my professor checked out my new accessory before administering the test, and now I will never be able to think about college finals the same. 2. Steel Pier Slingshot: I love rollercoasters. After a week and a half of rehearsals and long days at Miss America, nothing sounded nicer than being thrown into the sky from the benign confines of an open ball. Miss Utah and I hopped into the Steel Pier Slingshot and were flung into the Atlantic City skyline at 100 miles per hour screaming. I’ve got to say, at 225 feet in the air, all the stress and exhaustion from Miss America week faded away. I returned to the ground feeling lighter and stress-free. All the screaming ended up giving me a hoarse voice the next day for my private interview with the judges, but the sense of euphoria I experienced as a human slingshot was undoubtedly worth it. 3. My First Marriage Proposal: During my second parade as Miss Idaho, the Eagle Fun Days Parade, one father pushed his son from the crowd in front of my parade car and shouted, “Marry my son!”. The poor kid was so embarrassed and tried to run away, but his father mercilessly continued to shove him towards the middle of the road. I said yes, but sadly my car kept driving, so needless to say, I don’t think it’s going to work out. 4. When I think of all my expectations for my year as Miss Idaho, having a nail product named after me was definitely not on the list. Red Aspen named one of their new nail dashes, “Nina on Cloud 9” in honor of my placement at Miss America. Red Aspen’s mission is to inspire women to stand up, stand out, and stand together by uniting passion with purpose. They name all their products after inspirational women, and I am so honored to be considered one of them. 5. As Miss Idaho, I have autographed many things: hats, foreheads, phone cases, footballs. The most memorable thing I have signed was an ice skate. At the ice skating rink in Sun Valley, a group of children all wanted me to autograph their skates. I was surprised considering I spent the last thirty minutes stumbling across the ice, yet they still thought I was cool enough to permanently tattoo their ice skates. 6. 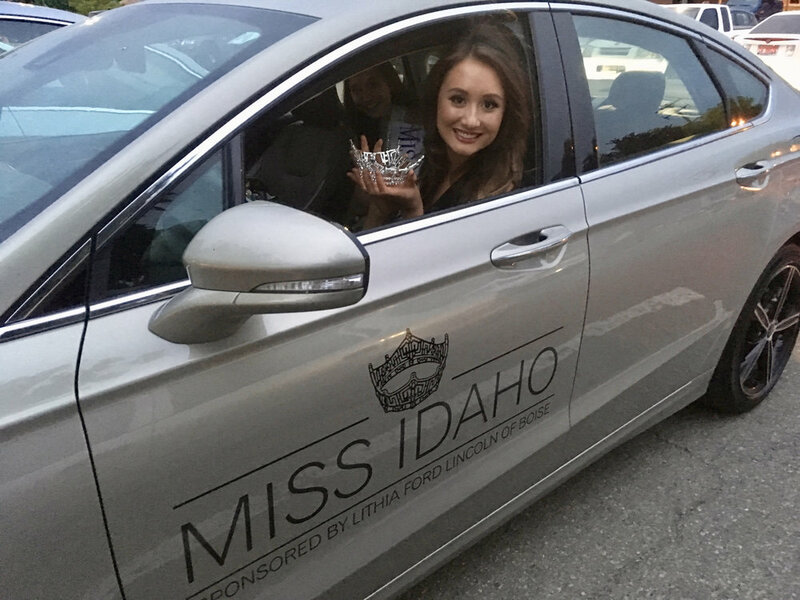 A hilarious moment that I can’t help remembering every time I drive my Miss Idaho car happened the night I won Miss Idaho. After the show concluded, I was instructed to drive the Miss Idaho car to my hotel for the night. When I went to sit in the car from Lithia Ford, I knocked my head against the ceiling. I couldn’t fit into the Miss Idaho car, and quickly realized that the vehicle used for the past two Miss Idaho’s wouldn’t work with my 6ft height. Thankfully, Lithia Ford switched cars the following day, and I narrowly avoided a year of driving like the Hunchback of Notre Dame. 7. The entire evening of September 9th , finals night at Miss America, is a night I will never forget. One memory that always makes me smile is the time spent backstage before I performed my talent on national television. I was called last into the Top 10 which meant I had a prolonged amount of time to wait backstage before performing. Normally, I am incredibly nervous before playing the piano. However, that night I could not stop smiling as I waited in the dark for my turn on the bright stage. I never thought I would ever be good enough to perform the piano on national television, and the emotions I experienced in that moment are so rare, it is a feeling that will stay with me forever. 8. Having my name announced as Miss Idaho 2018 was a particularly special moment for me. I may be the 69th Miss Idaho, but I am the 1st Asian American Miss Idaho. This year, I am honored to be a representative for my state and all its constituents. 9. My favorite excursion during Miss America week was undeniably the evening spent at the Linwood Country Club. I got to check an item off my bucket list when I drove a golf cart with Miss Arizona and Miss Connecticut. Speeding along the green with two of my dear friends exceeded my bucket list dreams. 10. As a state titleholder, I get photographed a lot, but some of my fondest memories happen when I am the one behind the lens. At Miss America, I was notoriously known as the go-to photographer, and nothing makes me happier than capturing moments for other people, especially when those people are my stunning sisters. 11. Another Miss America memory I will always cherish are the moments that followed my announcements into the Top 15 and Top 10. While the camera caught my stunned reaction and psychotic waving, it failed to capture the slew of screams from my family, director Christi, Miss Idaho board members, and Outstanding Teen, Chloe erupting from the audience. It didn’t matter that I did not win Miss America. These people made me feel like one. 12. Thanksgiving Day: Holidays are usually about celebrating with friends and family. This year for Thanksgiving, I wanted to do something for families in Idaho and spent the day serving a Thanksgiving lunch for people in need of a meal. For me, this year is about something bigger than myself. I am beyond thankful for the job of Miss Idaho, and I will always remember spending this Thanksgiving doing something for others. 13. Excluding tennis, sports are not my forte. This year, I unsuccessfully threw the first pitch at the Boise Hawks baseball game. Even though it was a colossal failure, 2018 was the year of trying new things, and at that, I succeeded. 14. For most people, 21st birthdays are indelible occasions. 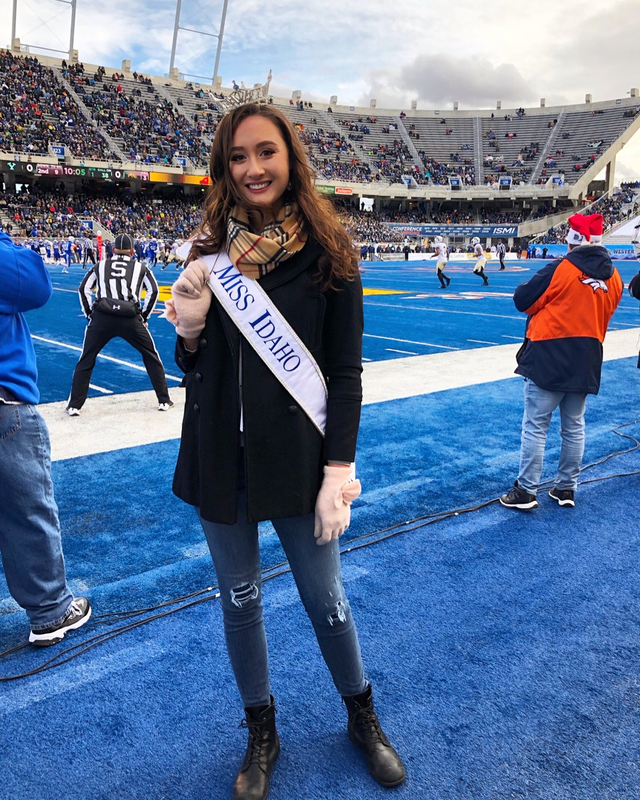 I turned twenty-one on August 7th and instead of the traditional celebrations, I spent the day volunteering at the Idaho Foodbank’s Picnic in the Park program, shopping for my Miss America wardrobe with my executive director, and attending a Miss Idaho board meeting. It may not have been the 21st birthday I had dreamed about, but being Miss Idaho is a far more rewarding dream. 15. The five days I spent in Sun Valley for the Jazz Festival was hands down the best trip I have had as Miss Idaho thus far. All the memories I acquired there were made possible by my chaperone, De Zborowski. Thank you, De, for making Sun Valley a highlight of 2018. 16. There are many things I did this year that were new experiences, but standing center field for the Idaho Potato Bowl’s coin toss was a truly unforgettable one. I have never really watched a lot of football, but I am so grateful to the Idaho Potato Commission for letting me experience new things and develop new passions. 17. All of the visits I make to Boise’s St. Luke’s Children’s Hospital are special moments for me. As an ambassador for Children’s Miracle Network hospitals, I hope my time there brightens up a child’s hospital days. These visits mean the world to me, and I feel so privileged to get to experience part of theirs. 18. And finally, being called as the new Miss Idaho is the moment that started the string of incredible events to follow. Not a day goes by where I am not grateful to be your Miss Idaho 2018. Here’s to 2019, making each day as your representative count, and creating memories to last a lifetime. I did not win my very first Miss Idaho local competition. The second local I competed in a few months later, I also lost. Walking into my third local, I was frustrated. I kept wondering what I was doing wrong. Looking back, it wasn’t necessarily the things I was doing wrong that were responsible for the outcome, it was also the things I was not doing right. 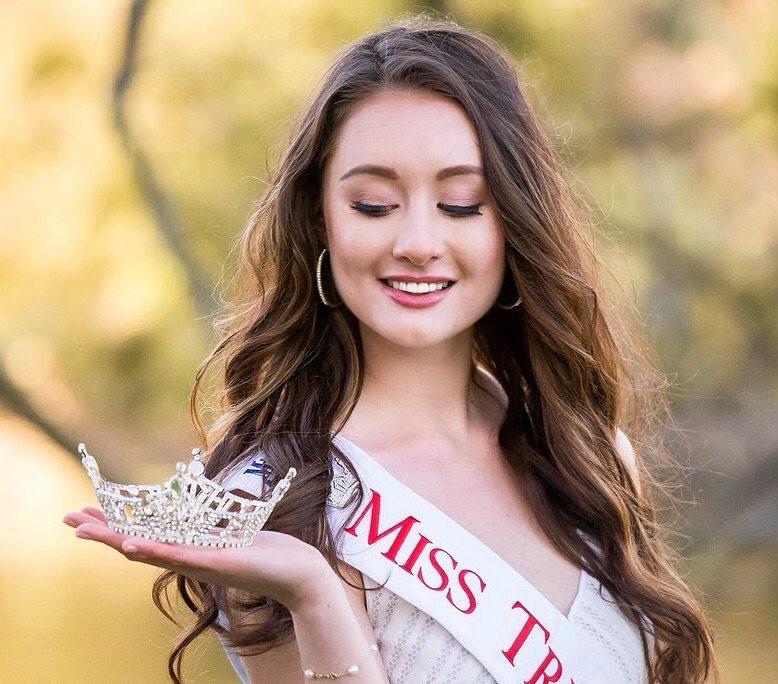 Local competitions for Miss Idaho 2019 are in full swing. 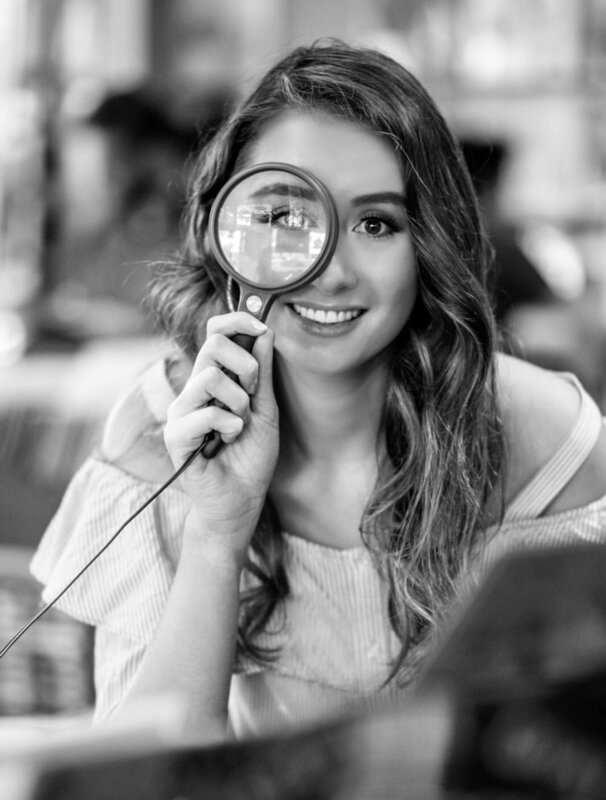 Whether you are a teen or miss contestant, a first-time pageant-goer or a seasoned veteran, hopefully my heuristic journey in pageants will be conducive in your own preparations. Here are five things I wish I knew before competing. ﻿1. Practice like you have never won and perform like you have never lost. It is so easy to get caught up in the past. However, in the present, last year’s results do not matter. Just because you made the top five one year does not guarantee you a spot next year. Just because someone beat you in the past does not automatically make you her runner up. My first year at Miss Idaho, I was fourth runner up. My second year, I was third runner up. After consistently placing high in the past, I know how easy it is to expect great things. There is nothing wrong with that, as long as you put in the work to receive results of a certain caliber. Every time I returned to the Miss Idaho stage, I never focused on last year’s outcome. Instead, I prepared like I had never won and performed like I had never lost. 2. “Ships don’t sink because of the water around them, they sink because of the water that gets in them.” I felt incredibly confident after my Miss America preliminary performances, so content that on the night before finals, I decided to venture online and find out what other people were saying. To my dismay, I was not on anyone’s Top 15 prediction list. One pageant forum rated my evening gown a five out of ten. Another said my on-stage question answer on trade with China would have been perfect had I not spoken in such a robotic voice. According to the people of the internet, there was not a chance I was going to be making the Top 15 on finals night. So, I believed them. I never cared too much about social media. I don’t have a Twitter nor had I ever heard of a pageant forum until Miss America. No matter how social media dependent you are, my biggest advice to any pageant goer is to tune out the noise, ignore the online critics or overly vocal friends & family. People are going to have their own opinions. It is your responsibility to not let them affect how you feel. When Gustave Eiffel built the Eiffel Tower in 1889, it was criticized by many of France’s leading artists and intellectuals for being strange and ugly. Now, the Eiffel Tower is the most visited paid monument in the world. If people in your life tell you that you’re not good enough or talented enough, remember that you have the power to prove them right or prove them wrong. 3. Judges are just people. I remember my first Miss Idaho interview very clearly, because I was stuttering in nervousness for the first three minutes of it. It is natural to feel intimidated by people whose sole purpose is to give you a score, but I have learned to view the judges’ role as evaluating me rather than comparing me to the other candidates. I always enter an interview with the objective to impress the judges. In this moment, the other contestants don’t matter. The fact that one of your judges may be a mayor, published author, or neurosurgeon is irreverent. This is your interview, your moment to shine and prove to five people why you are the best person for the job. The interview phase of competition has always been something I’ve struggled with, but going into an interview unfazed by the looming stress factors is something that has drastically improved my experience during pageants. 4. “Too many of us are not living our dreams, because we are living our fears.” To say I was intimidated at my very first local competition is an understatement. I had no idea what I was doing, and it seemed like everyone else was in their element. After my first local, I never wanted to compete again. I couldn’t help but feel like a new kid in a school I had no right attending. Back then, I wish I had realized that everyone must start somewhere, and those who do have more experience than you are usually more than happy to share their knowledge. Some of my closest friends have come from competing in pageants, and some of my greatest “ah-ha” moments came from the help of other pageant contestants. Competing for the first time is new and scary, but I promise in the long run, you will be grateful to have taken a risk. There is a difference between competing against girls and competing with them. Never hesitate to reach out to me or other pageant girls in your area. At the end of the day, pageant girls win a crown because they treat others like queens.